This article has been tagged as Needing work due to its lack of references. The Plague Dogs is a 1982 British animated film directed by Martin Rosen, starring the voices of Christopher Benjamin and John Hurt and based on the novel of the same name by Richard Adams. The plot deals with two dogs, Rowf and Snitter, who escape from a research laboratory in northwestern England and leave behind a trail of destruction as they are pursued by their former captors. 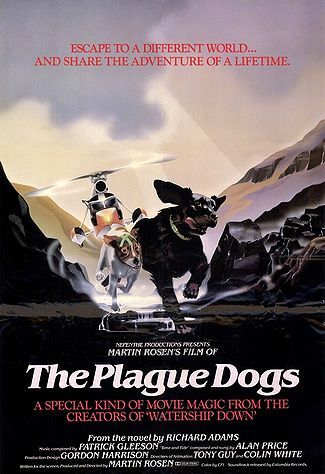 Essentially intended as a follow-up to Rosen's adaptation of Adams' Watership Down, The Plague Dogs is considered by many to be one of the darkest animated films of all time, featuring emotionally intense scenes such as the title characters being subjected to inhumane experimentation and various gruesome deaths, most notably a character being accidentally shot in the face. Perhaps unsurprisingly, the film has had a long history of censorship difficulties. 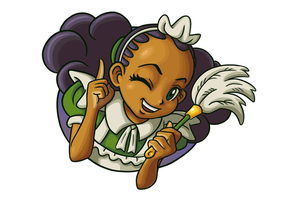 Upon its initial theatrical release, the film was inexplicably marketed as a children's film despite being clearly intended for a more mature audience. As a result, the film's American distributor, Embassy Pictures, ordered nearly twenty minutes' worth of footage to be cut from the film. Over the next twenty years, The Plague Dogs was released in several formats by numerous distributors. With the exception of an extremely rare VHS release by Thorn Productions, most of these were sourced from the truncated Embassy Pictures version, and even the most complete cuts were still missing four minutes' worth of footage. It wasn't until 2005 when a copy was found in the director's possession that the film was made available in its uncut form. The uncut version was shortly afterward released on DVD in Australia by Big Sky Video. Three years later, it was released on DVD in the UK by Optimum Releasing. The rest of the world, however, has yet to see any sort of official release of the film's full uncut form, although the cut version can easily be found online.